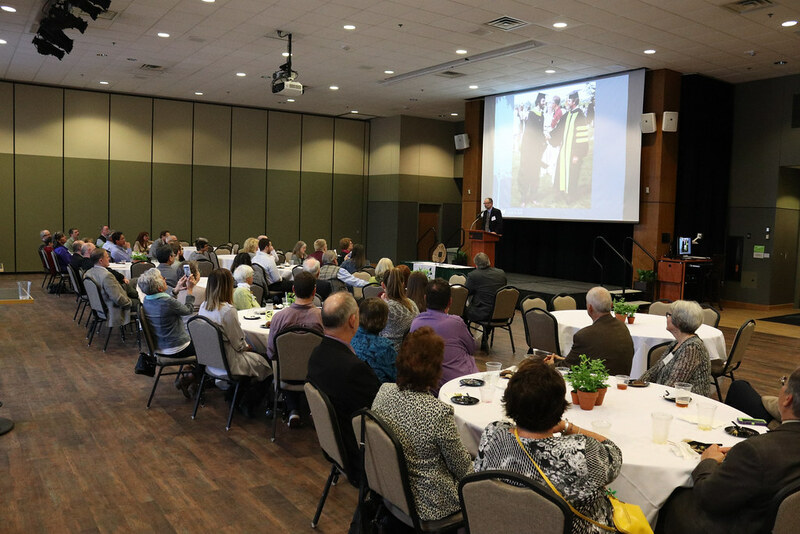 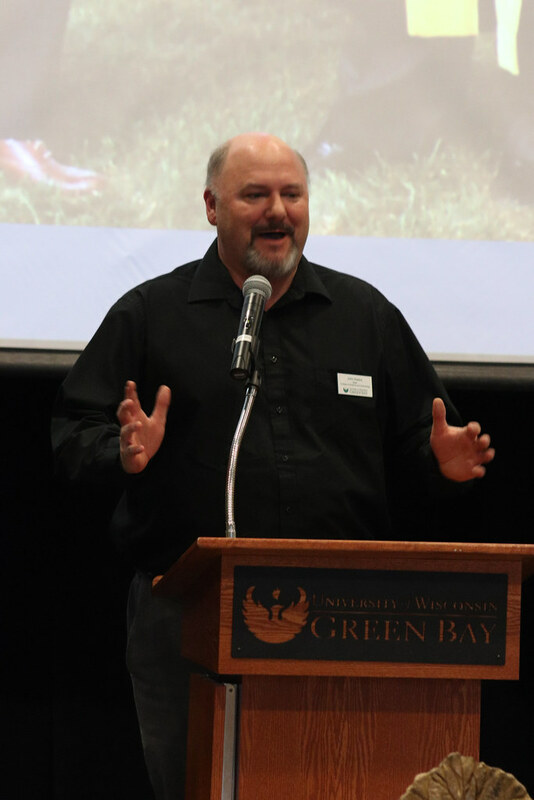 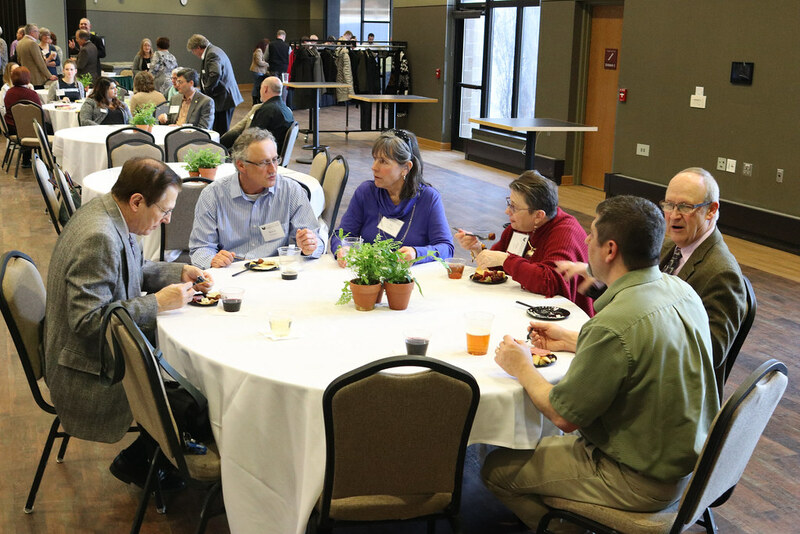 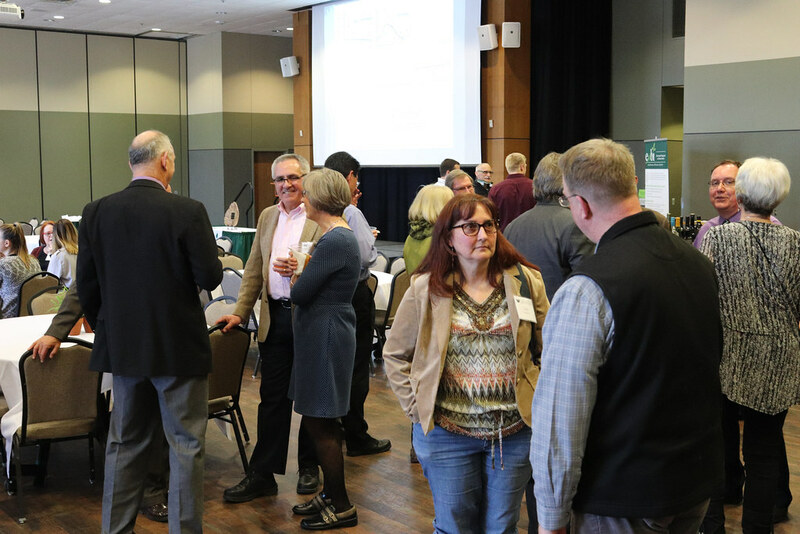 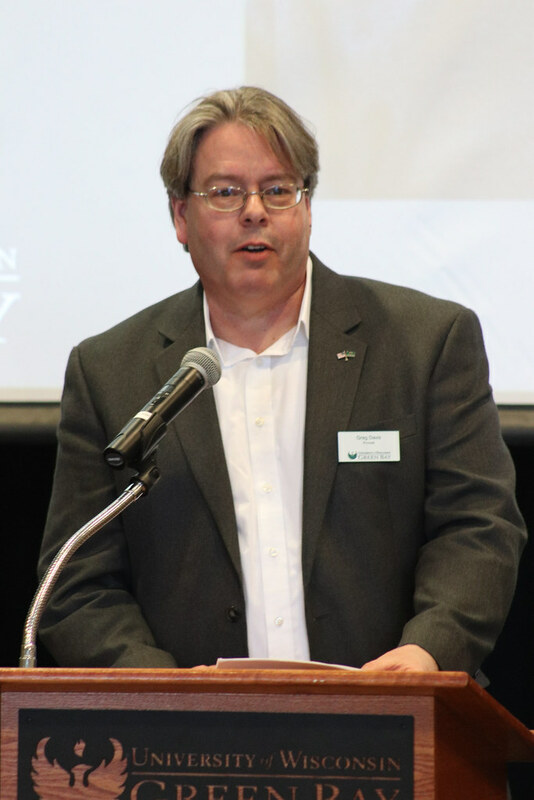 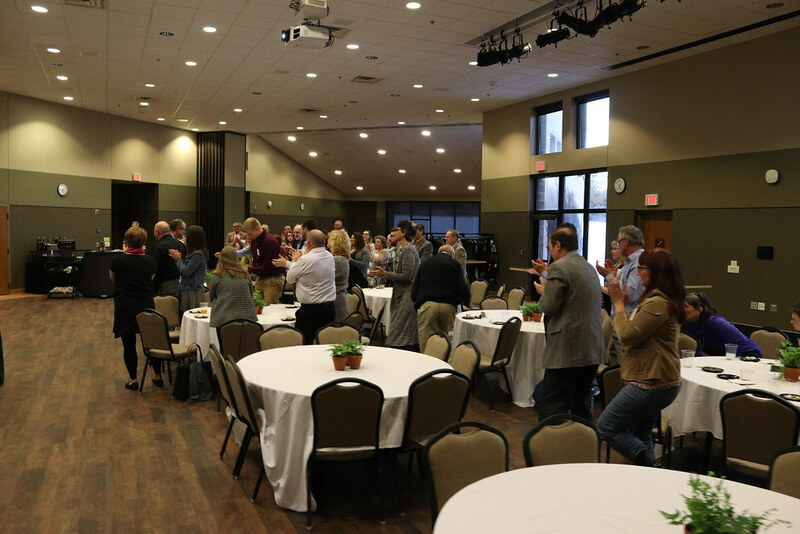 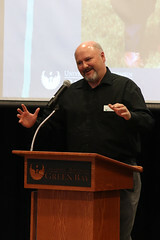 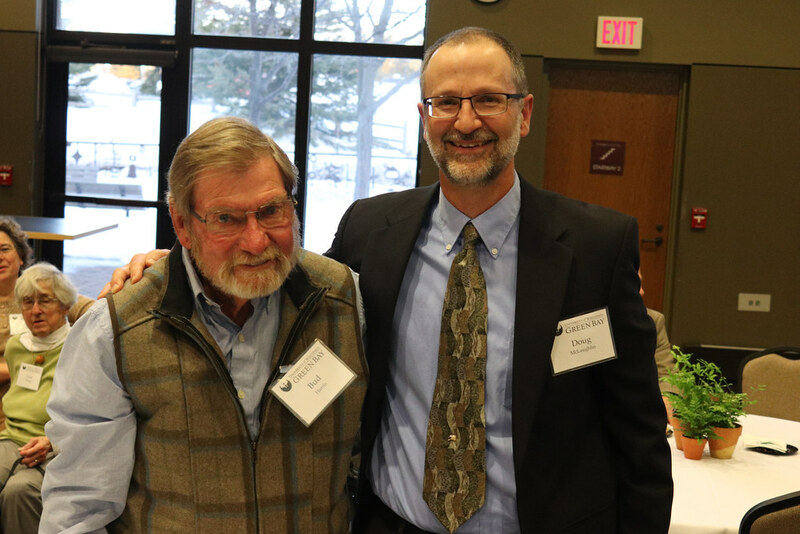 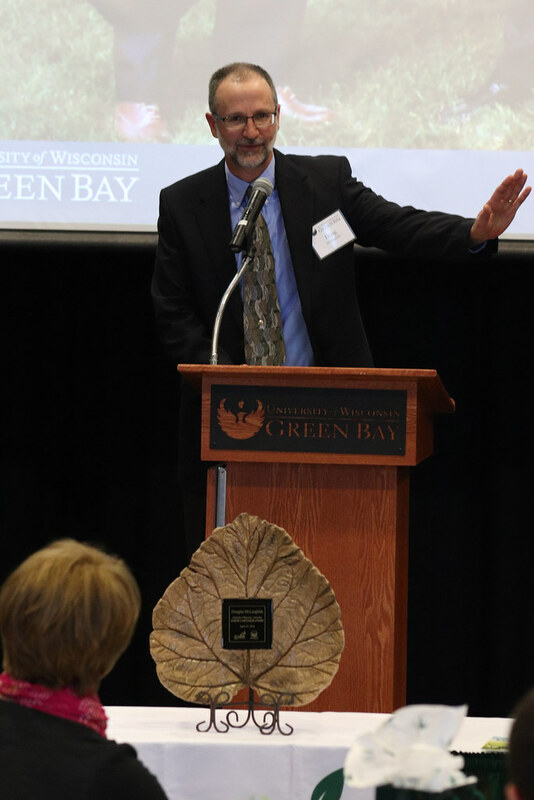 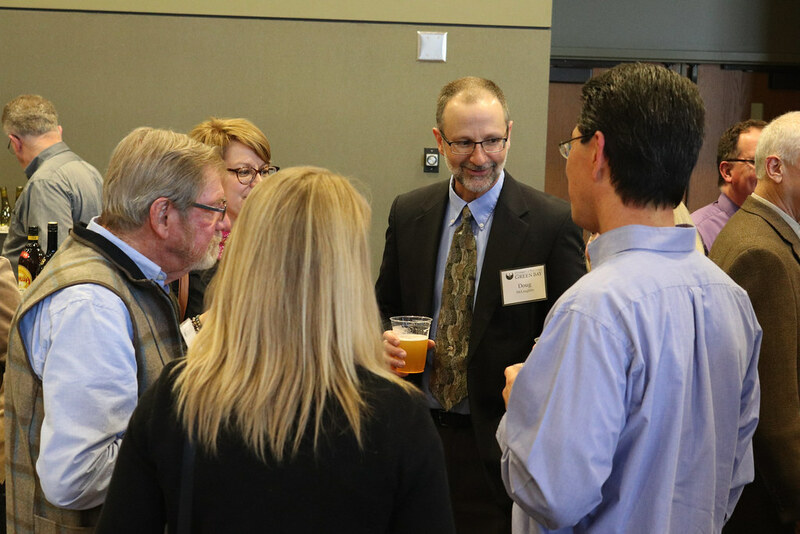 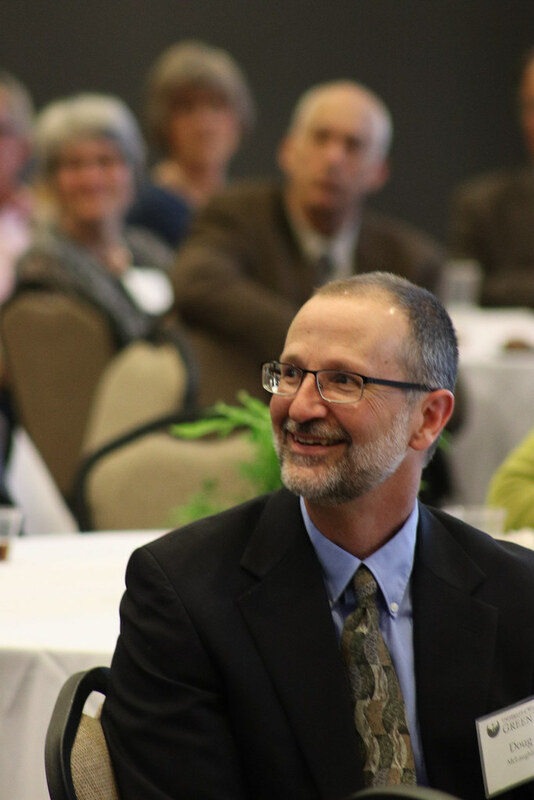 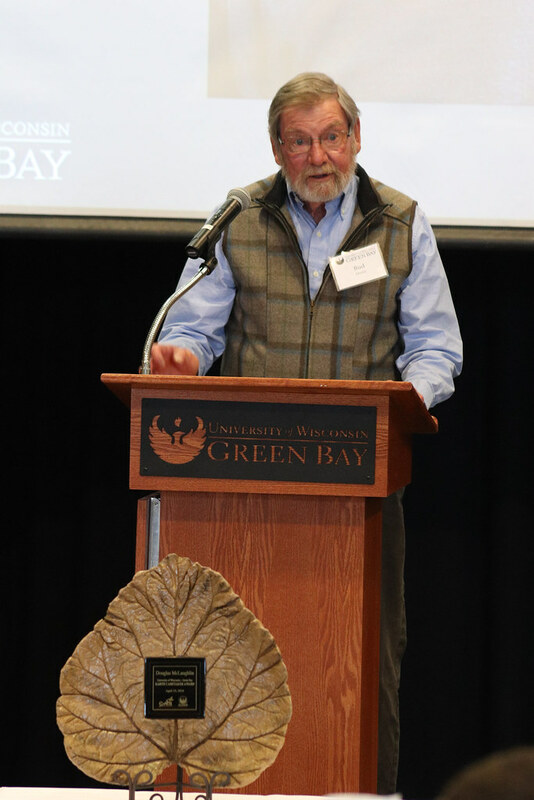 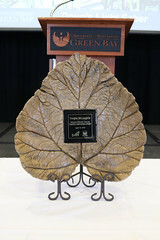 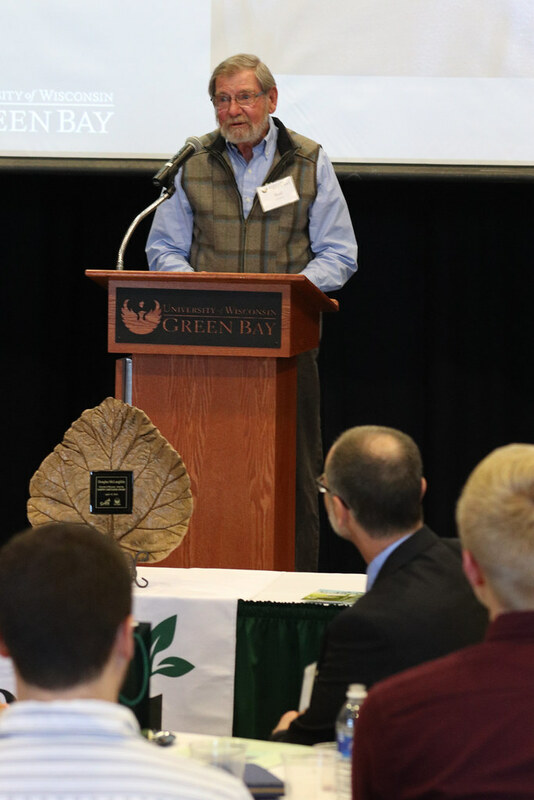 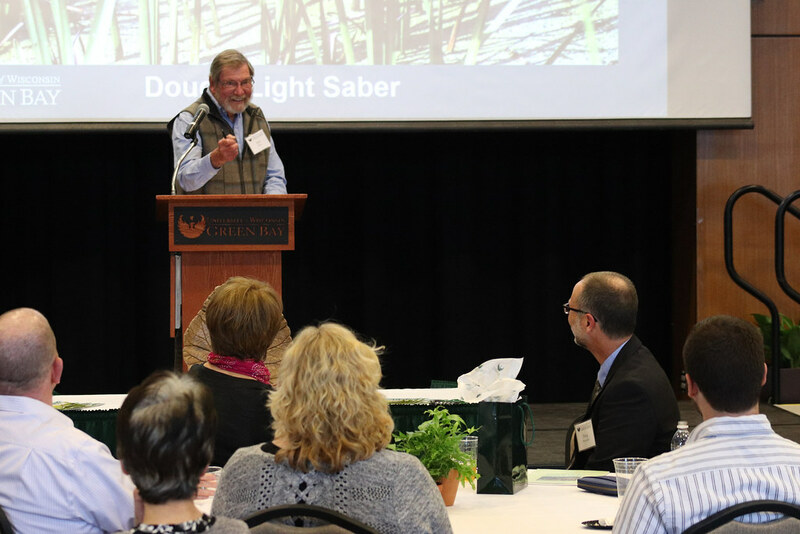 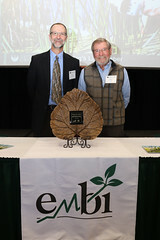 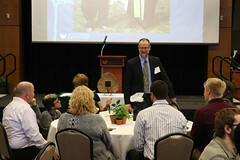 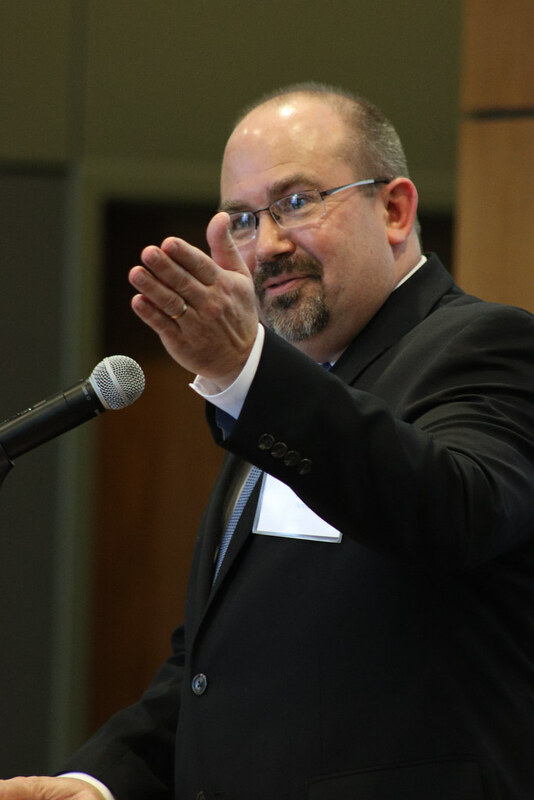 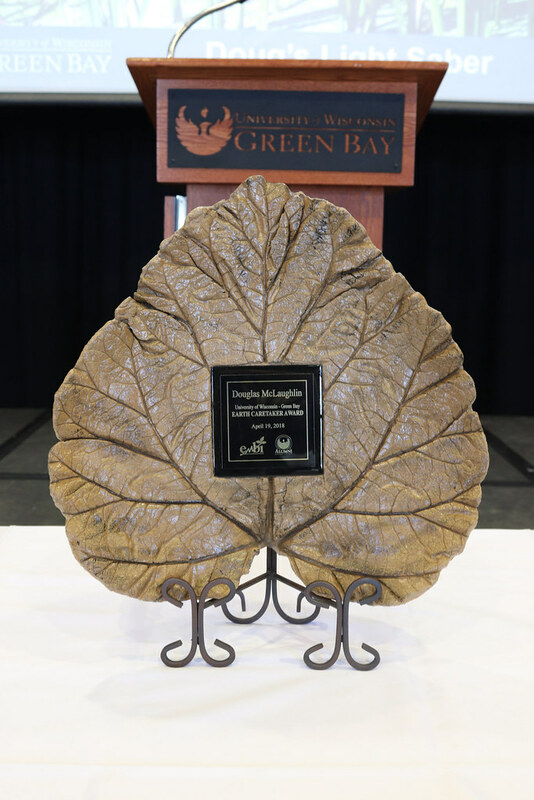 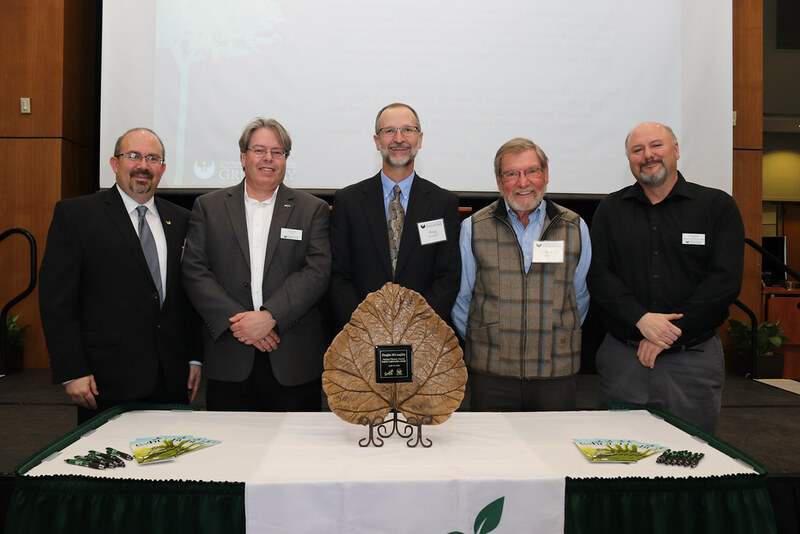 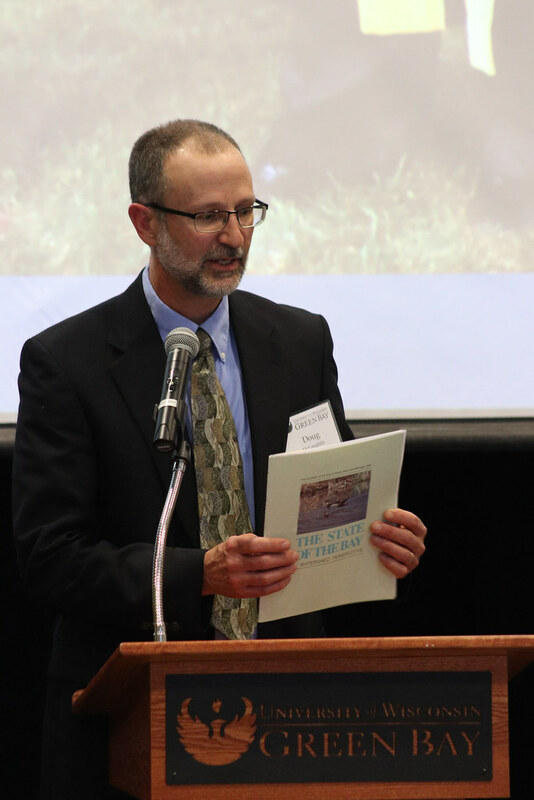 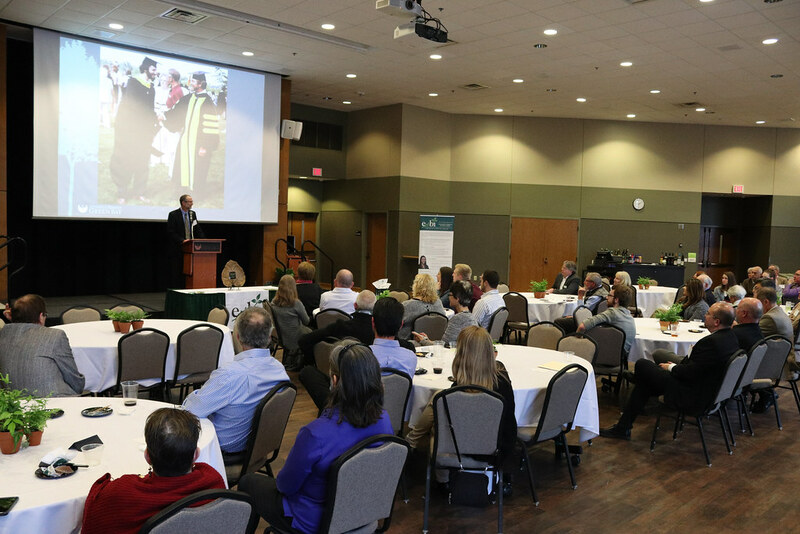 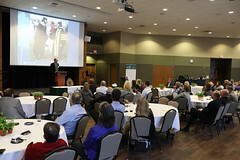 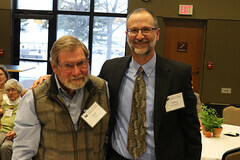 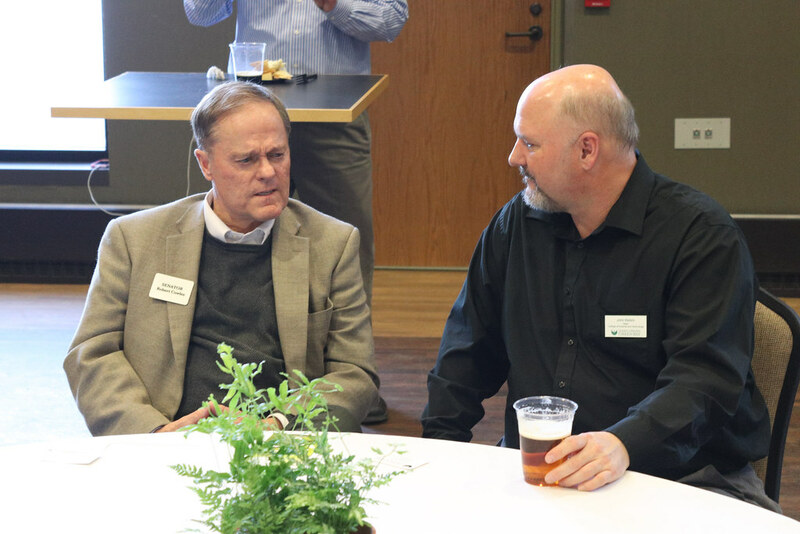 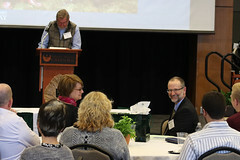 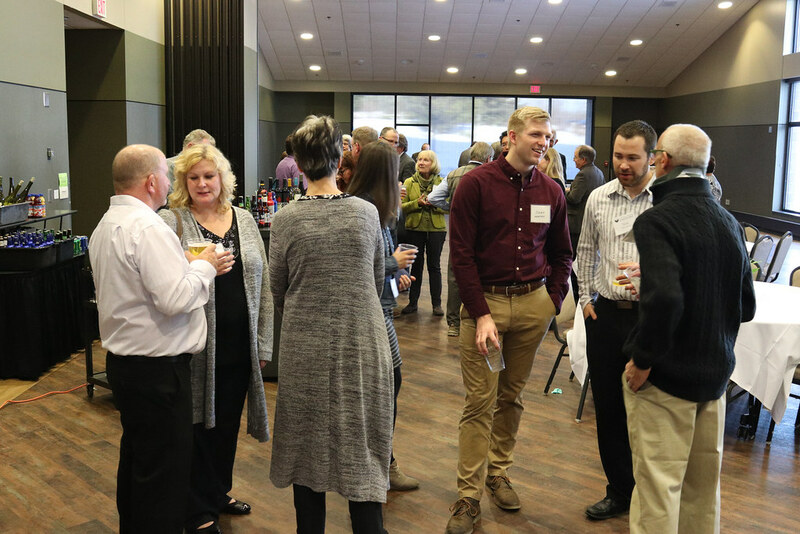 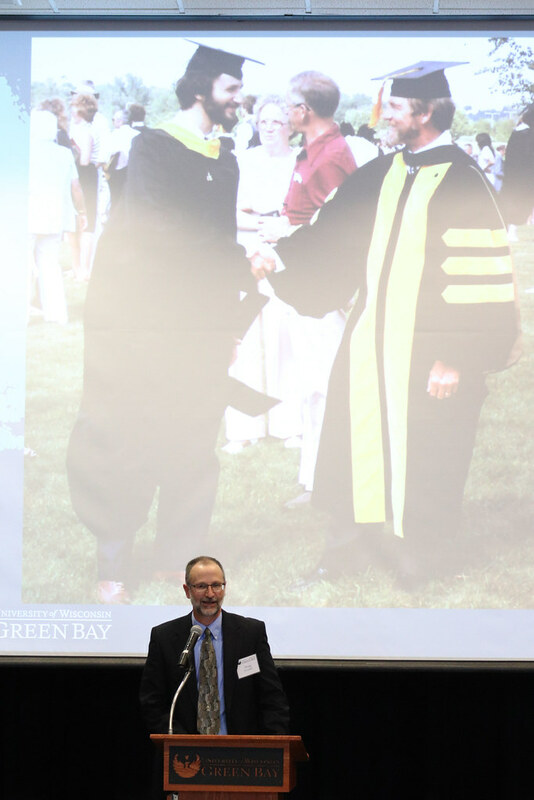 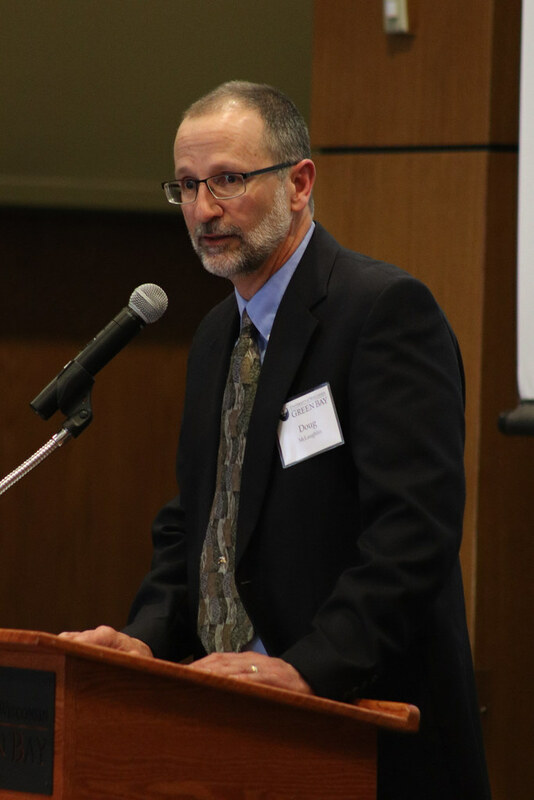 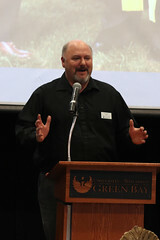 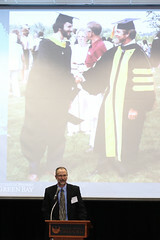 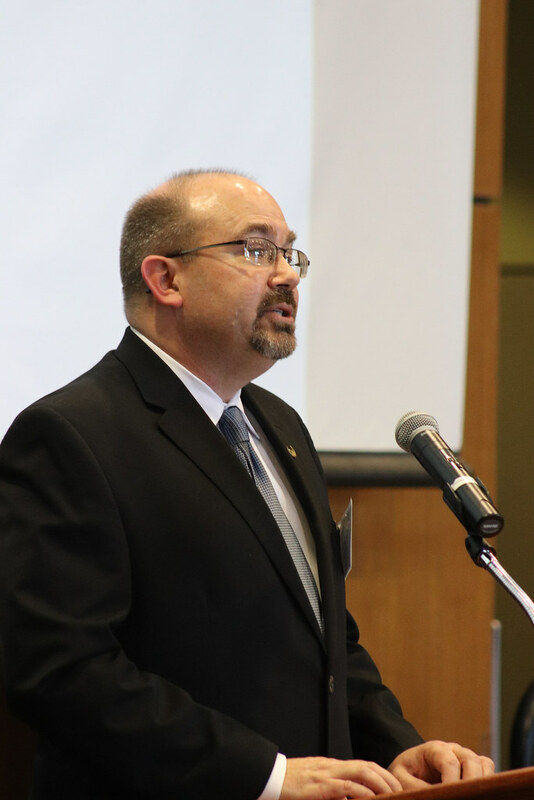 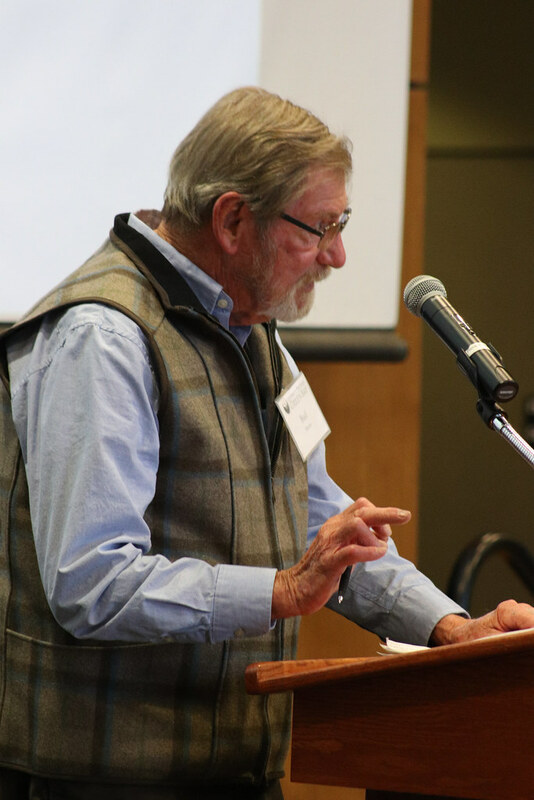 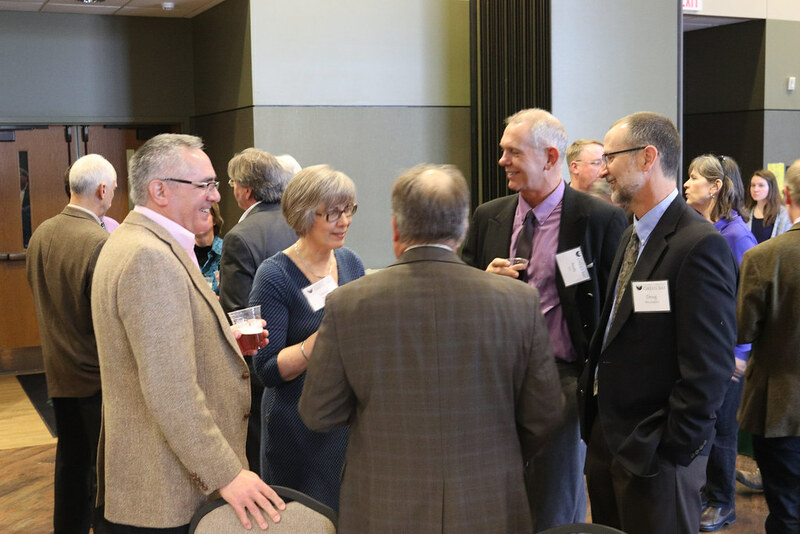 UW-Green Bay’s Environmental Management Business Institute (EMBI) recognized UW-Green Bay alumnus Douglas McLaughlin ’83 and ‘85, recently, as the ninth recipient of the Earth Caretaker Award. 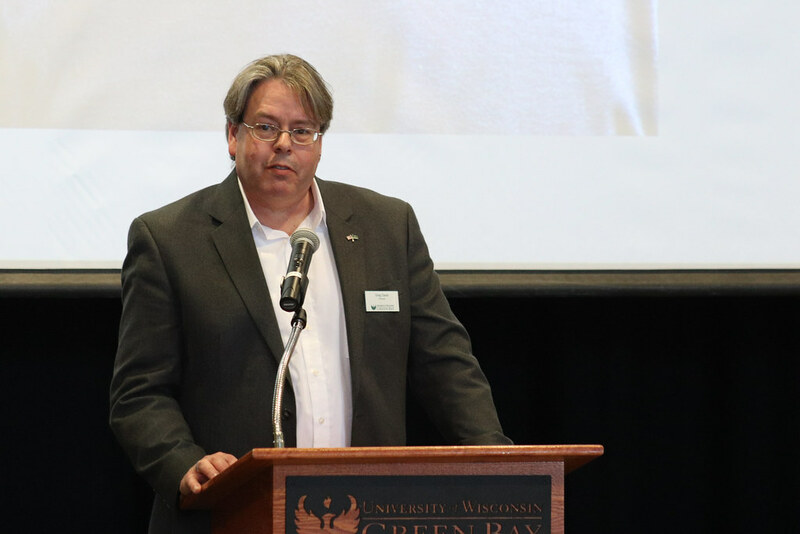 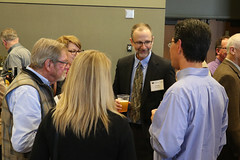 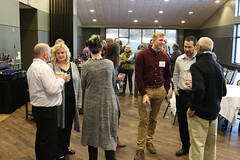 The award recognized his work on projects related to characterizing and improving wastewater quality, which led to several studies designed to better understand and reduce concentrations of polychlorinated biphenyls (PCBs) in mill wastewater in the Fox River. 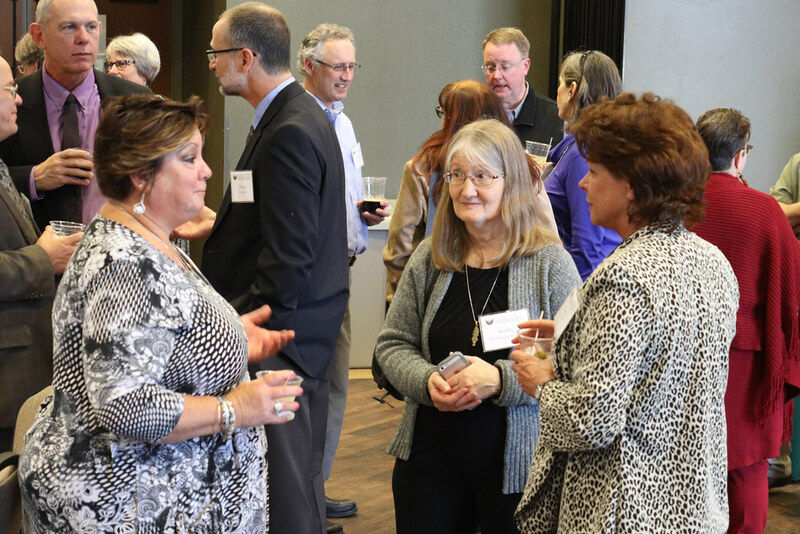 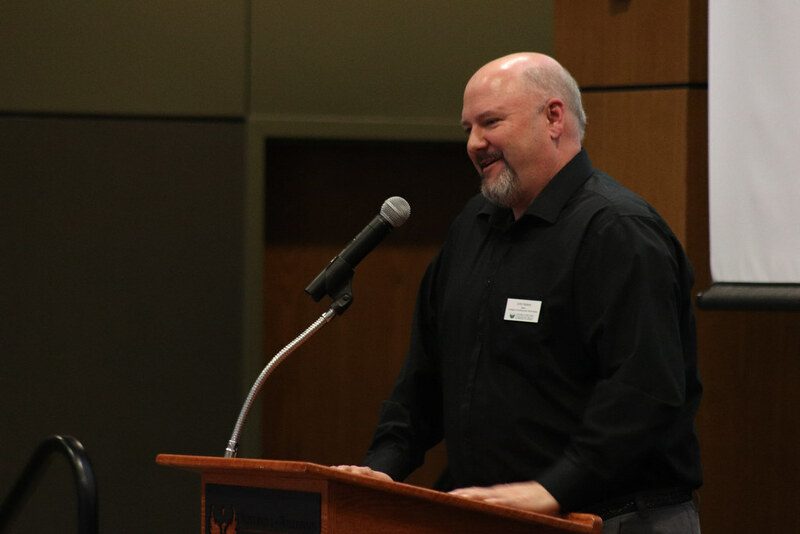 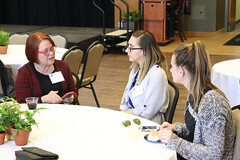 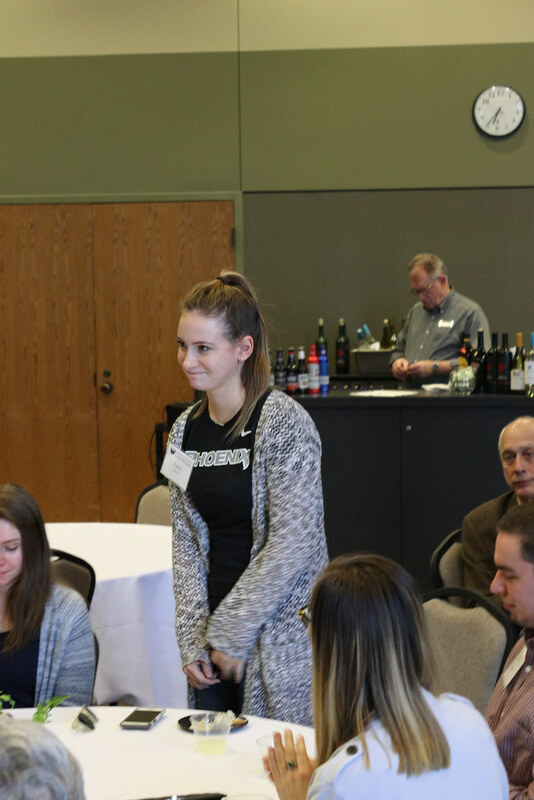 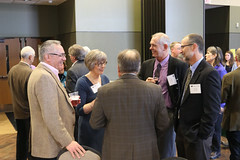 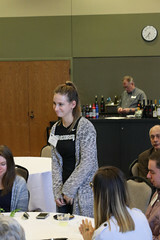 McLaughlin accepted the award Thursday (April 19, 2018) during a joint EMBI and Alumni Association reception held in the University Union. 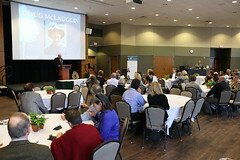 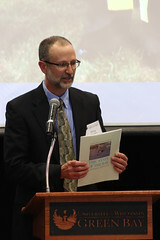 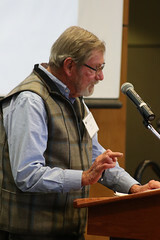 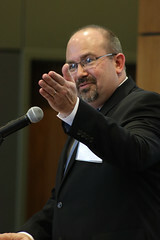 McLaughlin is a principal research scientist at the National Council for Air and Stream Improvement, Inc. (NCASI), a non-profit environmental research organization funded by the forest products industry. 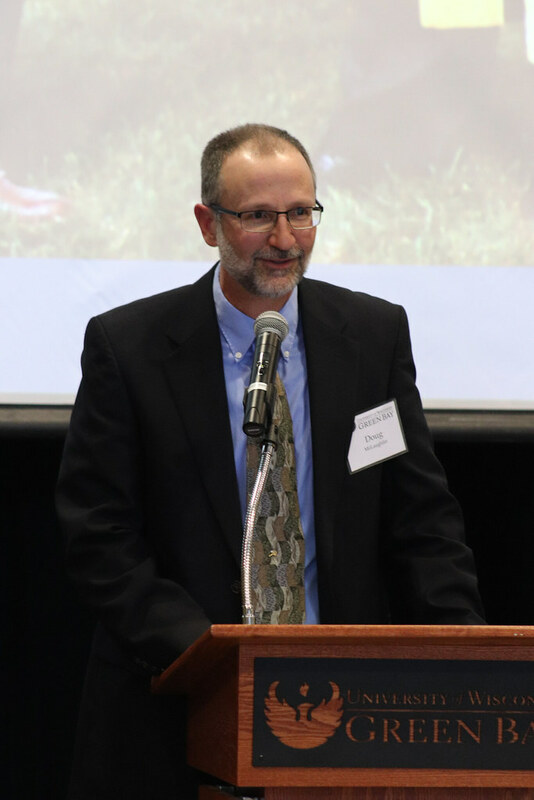 He is based near Kalamazoo, Michigan where he provides scientific expertise and research that address questions affecting surface water quality and management.